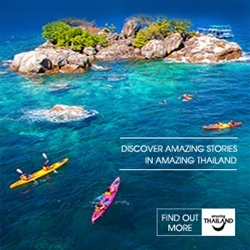 Global Travel Media » Blog Archive » Meeting Design Week Improving Meetings in East Asia – Here is how! Meeting Design Week Improving Meetings in East Asia – Here is how! Meetings are an incredibly powerful form of communications. However, their potential is rarely used to the maximum. That is why Asia Concentrate and Orange Gibbon are bringing the Meeting Design Week to Taiwan – for the first-time ever! The Meeting Design Week focuses on making meetings more effective and more efficient. Below is an overview of the activities Asia Concentrate is offering, all powered by Orange Gibbon, the brand new joint venture between Asia Concentrate and the cutting-edge meeting designers of MindMeeting from the Netherlands. The Meeting Design Week is held from 20 to 27 June 2018, in Taipei (Taiwan) and other venues in Taiwan. A true Camp, focused especially on young learners who wish to obtain insights into how meetings work as a form of communications. This year is the third edition of Water Melon Camp. The Camp brings revolutionary participative teaching methods. This year’s programme for the Water Melon Camp is especially broad: it ranges from input on how the venue impacts the behaviour of participants to improving the small, day-to-day meetings within organizations, from a general introduction into the workings of Meeting Design, to practising with totally new meeting formats and from a brief training in facilitation skills to developing creative thinking. The Water Melon Camp takes place in Taipei, on Friday 22 and Saturday 23 June. Another first for East Asia, is this specific training course on Meeting Design! The course introduces participants to the profession of Meeting Designer, according to the principles outlined by Eric de Groot and Mike van der Vijver in their seminal book “Into the Heart of Meetings”. Among many other things, Eric and Mike have contributed to the Annual International ICCA Congress, as presenters and moderators. Participants receive a certification for Meeting Design Course Level 1, recognized by MindMeeting. If you want to learn about creating better meeting programmes hands-on and by experimenting, then this course is the right choice for you! The course targets meeting professionals who want to exert a greater influence on the outcomes of their meetings and events, as well as change agents and communication experts who use meetings in their communication mix. The Meeting Design Course Level 1 takes place in Taipei on Saturday 26 and Sunday 27 June. As part of the MD Week programme, Orange Gibbon partners Pairry Chiang, Han Chiang, Eric de Groot and Mike van der Vijver conduct Keyshops on various topics related to Meeting Design. A Keyshop is a participant-centred workshop with the content of a Keynote speech. So instead of passively consuming the content, participants are challenged to apply the knowledge directly to their own working environment. MD Week partner MindMeeting has extensive experience in working with groups of young people, motivating them to learn through participative and effective formats. In the course of the MD Week, we conduct a special seminar for lecturers at Chi Lee University. It will run in parallel to the Water Melon Camp so as to allow for cross-fertilization between both groups of participants. For some time now, Meeting Design has attracted the attention of forward-looking Taiwanese organizations. MD Week includes a number of interventions where our trainers and experts work with groups of selected partners in order to strengthen their know-how in various meeting-related areas. Most of these activities are closed to the general public but please ask for information to check whether we can hold such an intervention also for your organization! We will hold two sessions on Meeting Design and meeting marketing for Taitra. The MICE Manager Training takes place on Wednesday 20 and Thursday 21 of June, one in Taipei and one in Kaohsiung. Naturally, we will also present several surprises, such as some brand new formats. We will open these sessions for the general public, so that you get a free introduction to the formats. Stay tuned for more information on our Facebook page!